We’re kicking the week off with my favorite Perspective piece from the last year. I love this article because it touches upon several of the founding principles of the Main Street Gazette. For starters, it allows my imagination to run wild, daring to dream what could possibly be impossible dreams. Also, it raised the level of discourse in the Disney community. Anytime I can craft an idea that creates an exchange of ideas among others I am extremely happy. 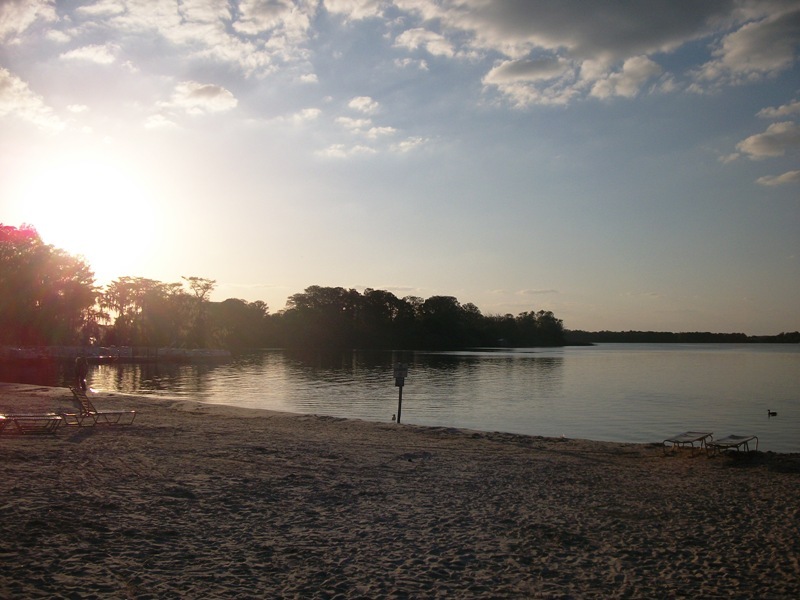 Go ahead and take a look back at Bay Lake’s tropical island paradise, a glimpse into how to repurpose Discovery Island for a band of castaways. Sitting out in the middle of Bay Lake is an island. While those of us who have spent the better part of the last forty years enveloped in Walt Disney World know this as Treasure or Discovery Island, the remnants of buildings, sheds, aviaries, and the shipwreck seem mighty mysterious to the casual guest who may only have begun visiting in the past ten years. For those of us who grew up with the island, it is also a mystery, as to why it has sat dormant for so many years. Perhaps it is time to go back to the island, this time with a move towards a LOST experience. Unlike its predecessor, however, this LOST island would not operate during a majority of the daylight hours. Instead, it would be an evening event with a tour of the island and dinner. Guests would check in at the Polynesian and board their boat, say something in the Chinese junk department. While a submarine would be more appropriate, even I know there will never be a submarine trolling the depths of the Seven Seas Lagoon and Bay Lake. This excursion could take place two to three times an evening, and for those of you who believe guests wouldn’t wander so far off the beaten path for an experience like this, may I offer up the Hoop-Dee-Doo Musical Revue as a counterpoint. Once guests reach the island Dharma folks would meet them at the dock, where a submarine would already be parked, and begin to lead them on their tour of the island, which guests are told will end at their barracks. As the group makes their way through the jungle, guests would pass by the Black Rock, the cave with the Man in Black and his mother’s skeletons, and hear whispers in the woods, among other experiences. All at once the ground begins to shake, trees on the horizons shudder and fall, and guests hear that familiar clicking-hiss of the smoke monster. The tour obviously must be cut short, but rather than return to the dock, guests are hurried inside one of the Dharma scientific research stations, The Swan station. This is where dinner will take place, in the large room with the countdown clock. Throughout the meal guests will overhear conversations amongst Dharma staff, arguments about the smoke monster, how the island isn’t ready for visitors yet, etc. As guests have finished eating, one argument would lead the hosts to leave the room for a few moments, just as the clock ticks down to zero. As the hieroglyphs begin to rotate through the clock the Dharma members return. While one rushes to the control panel to enter the now infamous code, the other leaders will hasten the guests back outside and towards their waiting launch at the dock. This is, of course, only one scenario and one thought towards revitalizing the once bustling island in the heart of Bay Lake and bringing a LOST experience to a fanbase that has been clamoring for an attraction for years. All of you Losties out there, what type of experience would you like to see at Walt Disney World, and where? For all of you Walt Disney World enthusiasts, what would you like to see happen with Discovery Island? This is such a great and feasible idea! I sincerely hope they bring LOST to the World in some form. Ho ho ho, this will require some thought. I like the adventure idea. Sure to bet something will happen, and this sounds way better than most.